The film opens with a visual and musical reference to John Carpenter’s The Thing – an electronic throb plays over the opening image of something from space coming to earth – turns out it is a firework but it is a prelude to a solid action adventure. 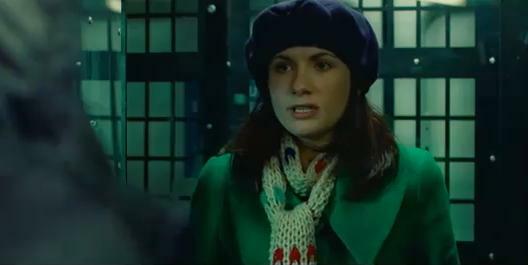 The story begins at night as a trainee nurse named Sam (Jodie Whittaker) makes her way to her home. More Takashi Miike this week with the announcement that he is adapting Phoenix Wright for the big screen – joy to the world! Here are the trailers that have caught my eye this week. The ideas of the film are far more ambitious and interesting than a lot of other films in cinemas and the result is highly enjoyable and smart. Uneven in tone? Sure, but we should be thankful that an original premise concerning parallel realities delivered with imagination and intelligence is on the big screen. 7:45 A.M., a bomb explodes on a commuter train outside Chicago. The bomber informs authorities that it is the start of a campaign of terror with another bomb in downtown Chicago. Transported eight minutes before the explosion, US army helicopter pilot Captain Colter Stevens (Jake Gyllenhaal) finds himself parts of an experimental investigation tasked to constantly relive the event in order to find out who the bomber is. This post is a bit late which is frustrating because the amount of awesome trailers I see every week is huge and the news from Cannes is truly mind-boggling for a film fan. I guess I’ll focus on three film-makers, Takashi Miike and Lars von Trier. I slacked off a little with the AMV posts so, to get back into things, the next few episodes of AMV of the Week will be packed full of nostalgia as well as highlighting good AMVs. I can’t believe I grew up watching ultra-violent anime like M.D. Geist but when I recall the boredom I feel for 80’s anime in general, well it must be true. I’m no fan of the 80’s cyber-punk genre but this AMV brought back lazy Thursday afternoons watching the Sci-Fi Channel (before the ridiculous name change to Sy-Fy). 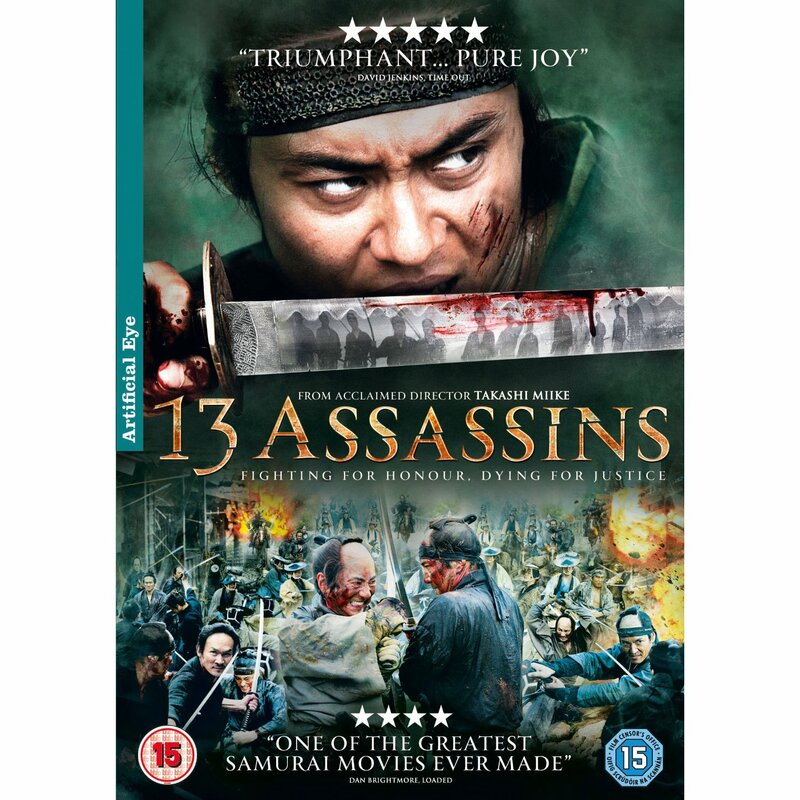 13 Assassins was a masterpiece – best film I’ve seen this week, this year, maybe one of the in many years. For anybody who hasn’t seen it, do yourself a favour and watch it. Anyway, here are a couple of trailers that are interesting and a link definitely worth checking out. Phoenix Wright is just plain hilarious and a great reason to own a Nintendo DS. The cast of characters are so distinct and memorable and the stories so outrageous that it beats any legal drama on television. However I’ve seen a few AMV’s that use it but few that work well with the music. The music comes from the legend that is Michael Jackson (RIP). The music is Smooth Criminal, an iconic song. Whilst I am, the song and game connect brilliantly. I think the game is captured perfectly by the AMV, the different animations of the different characters and the bizarreness that they have matches the beat perfectly. The lyrics and images match as well. All in all, a very good AMV. 1844, Japan. 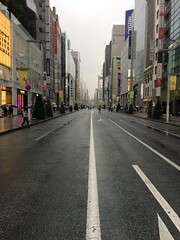 In the last decades of the Shogun and before the reforms of the Meiji era there is a moment of fragile peace. Unfortunately this peace will be shattered with the promotion of the Shogun’s half-brother, the depraved and psychopathic Lord Naritsugu (Inagaki Goro) who uses his status to commit acts of depravity and evil against the people of Japan. In an effort to preserve order, high ranking official Sir Doi calls upon noble samurai Shinzaemon Shimada (Yakusho Koji) to carry out an assassination. Waiting for Naritsugu to leave Edo with his personal army, Shinzaemon recruits twelve others to carry out a daring ambush in a remote village. Oh how this film could have been revolutionary. It could have been a subversive, dare I say, feminist riposte to a generation of males weaned on controlling videogames with female avatars that are glorified T&A. Unfortunately the film revels in and never questions or subverts videogame imagery and due to inherent weaknesses in script and characterisation any riposte falls flat. 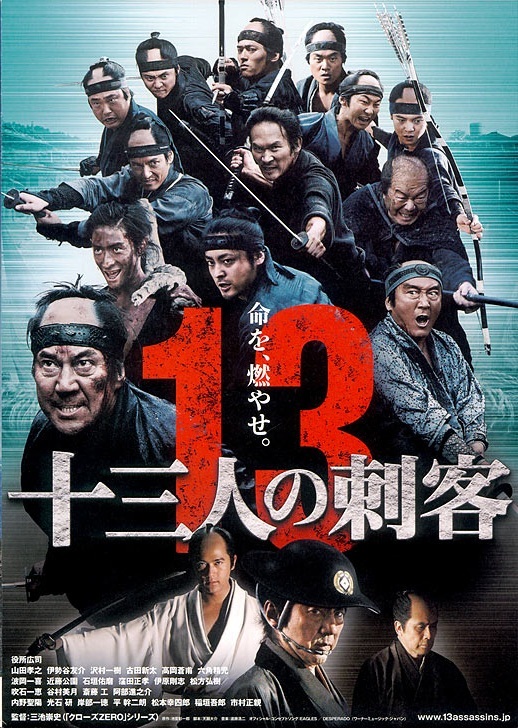 Takashi Miike’s 13 Assassins and Attack the Block are in cinemas next week and I feel like weeping tears of joy but instead I’ll post up trailers and links for forthcoming films that have caught my eye.